MARSHALL BELFORD ALLEN, recognized all over the world as the premier avant-garde saxophonist, as well as multi-instrumentalist, composer, bandleader, and arranger, was born May 25, 1924 in Louisville, Kentucky and started clarinet lessons at age 10. At 18, he enlisted in the Army's 92nd Infantry (renowned as the Buffalo Soldiers), playing clarinet and alto saxophone in the 17th Division Special Service Band. Stationed in Paris during World War II, he played with pianist Art Simmons and saxophonist Don Byas and toured and recorded with James Moody during the late '40's. Upon honorable discharge, Mr. Allen enrolled in the Paris Conservatory of Music, studying clarinet with Ulysse Delecluse. Returning to the States in 1951, Marshall settled in Chicago, where he led his own bands, playing in clubs and dance halls, while writing his own music and arrangements. During the '50's, Marshall met Sun Ra and became a student of his precepts as well as a member of the Sun Ra Arkestra. Marshall Allen came to lead Sun Ra's formidable reed section for over 40 years (a role akin to the position of Johnny Hodges in the Duke Ellington orchestra). Marshall lived, rehearsed, toured and recorded with Sun Ra almost exclusively for much of his musical career. As a featured soloist with the Arkestra, Marshall pioneered the avante-garde jazz movement of the early '60's, expanding a style rooted in Johnny Hodges and Don Byas, and influencing all leading avante-garde saxophonists thereafter. Marshall Allen was also one of the first jazz musicians to play traditional African music and what is now called "world music," working frequently with Olatunji and his Drums of Passion. Marshall is featured on over 200 Sun Ra releases, as well as appearing as special guest soloist in concert and on recordings with such diverse groups as NRBQ, Phish, Sonic Youth, Diggable Planets, Terry Adams, and Medeski, Martin & Wood. 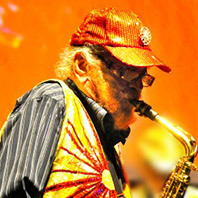 Perhaps most significantly, Marshall Allen assumed the helm of the Sun Ra Arkestra in 1995 after the ascension of Sun Ra in 1993 and John Gilmore in 1995. Mr. Allen still resides at the Sun Ra Residence in Philadelphia, composing, writing and arranging for the Arkestra much like his mentor, totally committed to a life of discipline centered on the study, research, and further development of Sun Ra's musical precepts. KASH KILLION is a San Francisco based cellist, bassist, sarangist, vocalist, and composer, who began his professional music career at age ten. Kash is a visionary musician who stretches the boundaries of what one would expect from string instruments. He hears the cello as a bass, a violin, a guitar, a saxophone, and a piano, and he seeks to share that with his listeners. He strives to put the string instruments in unusual situations and play any style of music and make it sound authentic. His focus is to create something unique, and from that his music and CDs have wide appeal, as there is something for everyone to enjoy. 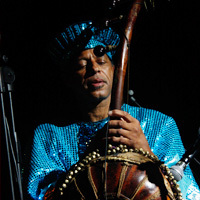 Kash records and performs with various ethnic music ensembles and chamber orchestras ranging from the Sun Ra Arkestra to Cuban/Salsa bands such as Roberto Borrell y Orquesta La Moderna Tradición to classical music and Indian classical music, and has over a hundred recordings to his credit. He also performed as a singer on the movie The General’s Daughter and numerous other movie and commercial projects. Kash has played extensively with musical icons such as B.B. King, Cecil Taylor, John Zorn, Julius Hemphill, Reggie Workman, Sun Ra, Butch Morris, Paul Murphy, Glen Spearman, George Lewis, Alvin Baptiste, Chocolate Armenteros, Richard Egues, Larry Willis, Steve Berrios, and Francisco Aquabella. Kash also has a deep interest in world music. He studied sarangi and cello with the great Indian musician, Ali Akbar Khan, and recorded with his orchestra. He has also studied sarangi with the great masters Sultan Khan and Rhamish Mishra. He has recorded Afro-Cuban music with several salsa groups. He composes and performs for both dance troupes and poets. Major poets he has accompanied including Amiri Baraka, Alice Walker, Quincy Troupe, Shirley Le Flore and Jessica Hagdorm. Born in Alton, Illinois (Miles Davis’ home town), Kash was raised listening to jazz—his brother was a jazz trumpeter—in the very fertile music scene in and around East St. Louis. Drawn first to clarinet, then voice, flute, electric guitar and electric bass, Kash started performing at age ten. Through high school he was working in doo-wop, funk, soul, rock and church groups. In college he studied classical contrabass, violin, and cello. He attended L.A. City College and holds a B.A. in Performance and Musical Composition from Antioch University. Piano giant Horace Tapscott became his mentor and Kash played bass in Tapscott’s Ark Orchestra; drummer Billy Higgins was part of that scene, too. This rekindled his interest in straight-ahead jazz. On the straight-ahead jazz front, Kash has played with great players like Donald Byrd, George Cables, Billy Higgins, Bobby Hutcherson, James Newton, and Billy Bang. Kash’s interest in avant-garde jazz was ignited by Sun Ra in 1978—and further heightened by meeting and playing with Pharoah Sanders. In L.A. Kash was playing bass as his primary instrument, but getting more and more interested in cello. When he moved to the Bay Area in 1984, he switched almost entirely to cello, mainly because it provided him with the freedom to play in a variety of groups because of the versatility of the instrument. 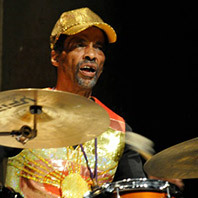 Chicago master drummer / percussionist AVREEAYL RA was born in Chicago on May 21st, 1947 and still lives there today. He is a renowned musician always in demand among visiting jazz artists in Chicago. 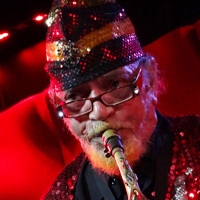 Avreeayl’s father, Arthur “Swinglee” O’Neil, was a tenor saxophonist who was mentor to many young Chicago musicians, including John Gilmore, later the mainstay of Sun Ra’s Arkestra. Avreeayl is a long-term member of the Chicago AACM, his relationship with the seminal music organization having begun with early studies with AACM co-founder Kelan Philip Cohran. Avreeayl has performed and /or recorded with Fred Anderson, Amiri Baraka, Fontella Bass, Lester Bowie, Ari Brown, Oscar Brown, Jr., Henry Butler, Henry Byrd (”Professor Longhair”), Hamid Drake, Malachi Favors, Donald Raphael Garrett, Charles Gayle, Henry Grimes, Billy Harper, Joseph Jarman, Edward “Kidd” Jordan, Nicole Mitchell, Sun Ra, Pharoah Sanders, Malachi Thompson, and many more. The venerable “Chicago Tribune” music critic Howard Reich wrote recently, “An indispensable Chicago innovator, Avreeayl Ra shapes the music-making swirling around him with remarkable precision and poise... extraordinarily sensitive percussion.” Critic John Kelman has described Avreeayl’s playing as “part Tony Williams, part Elvin Jones, and all Avreeayl Ra.” Avreeayl considers himself greatly blessed to have come up in the richly progressive Chicago “avant-garde” jazz community. Though he has lived briefly in New Orleans and New York and has toured widely in the U.S., Canada, Europe, the Far East, and Africa, he has always returned home to live in Chicago. These days Avreeayl devotes much of his time and phenomenal energy to documenting on film the hidden spiritual roots of Chicago music, focusing on the Congo Beach Initiative (inspired by Congo Beach in New Orleans), a drum- and spirit-centered society in which Chicago musicians, dancers, and artists of all descriptions, young and elders alike, have congregated for many years at 63rd Street and Lakefront, playing music and practicing their spiritual and healing arts throughout the night, while developing an undying, evolving, spontaneous, organic communal life based in the rhythms, sounds, images, and spirituality of the African-American soul. Avreeayl is also documenting the Chicago jazz community, in particular life stories of the elders in the music. Another Avreeayl Ra project is the study and documentation of modalities for healing and spiritual balance, both inside and outside the music. KA’s dream was to play the piano, and it came true in 1995 when she unexpectedly acquired a grand piano in her apartment in Berlin. 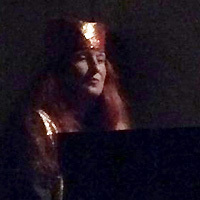 She started to play it in an experimental way, investigating the sounds of the instrument, and slowly developed her own style and language in improvised music. Her interest in jazz and improvised music was nourished by many fantastic concerts of traveling international musicians she was able to hear during her stay in Berlin in the nineties. All this rich experience guided her in her own progression and led to the vision and realization of the UNCOOL Festival of Jazz, Improvised Music, Ethno and Cosmo Music after she moved to Poschiavo in the southern Swiss Alps. She was able to create eight exceptional consecutive festivals from 1999 to 2012, and she also showed her own works at the festivals. 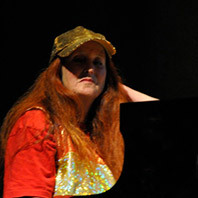 KA was first onstage with Maestro Marshall Allen and Avreeayl Ra (2009), later with Manolo Cabras (2011), Riccardo Luppi, Matteo Lorito and Filippo Monico (2013), and recently also with Henry Grimes (2014). KA has also realized several sound installations based on a double spiral construction and including radio sounds, a large variety of animal voices, the rhythms of rain and thunderstorms, sounds of mountain springs and waterfalls, and her piano music. KA’s interest in sound also includes the written and spoken word. She likes to rewrite some of the ancient tales, such as The Gordian Knot and Oedipus, but shifting the emphasis to draw attention to the actual messages of the stories that are hidden behind the common interpretation. A crucial impact was meeting the Siberian shaman Ai-Tchourek in Kyzyl, Tuva, who showed and taught KA the healing rites of shamanic tradition. Ai-Tchourek also gave KA a magic shaman drum that KA uses for healing and in performances. 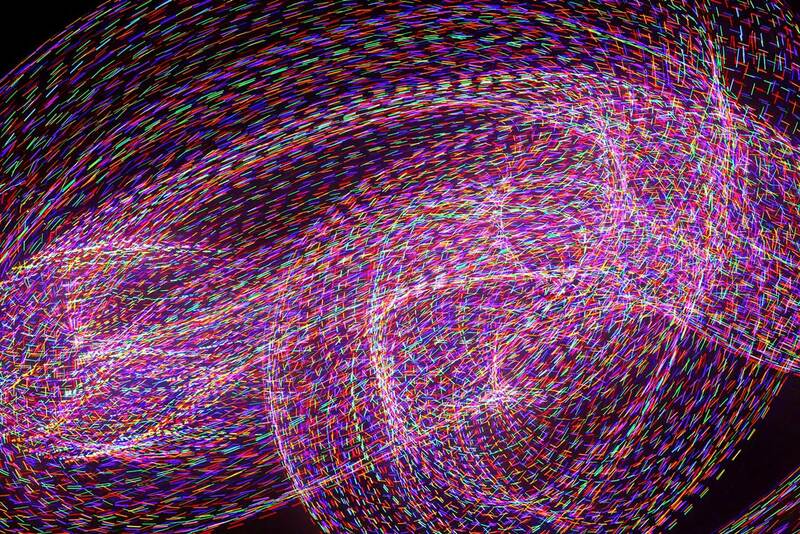 During her live music performances, she also uses the projection of her own digital photographs dealing with nature or light. From 2013 onwards, she has offered the Artists in Residence program at Poschiavo for gifted artists and musicians, a platform for creating new works and for concerts and exhibitions. The Quartet is her absolutely favorite band, and she feels most honored to play with the world’s finest jazz musicians. In the late ‘50s and throughout the ‘60s, after receiving his education in classical music at the Mastbaum School in Philadelphia and at Juilliard in New York City, HENRY GRIMES played acoustic bass with many master jazz musicians of that era, including Albert Ayler, Don Cherry, Benny Goodman, Coleman Hawkins, Roy Haynes, Steve Lacy, Charles Mingus, Gerry Mulligan, Sunny Murray, Sonny Rollins, Pharoah Sanders, Archie Shepp, Cecil Taylor, and McCoy Tyner. Sadly, a trip to the West Coast to work with Al Jarreau and Jon Hendricks went awry, leaving Henry in downtown Los Angeles at the end of the '60s with a broken bass he couldn't pay to repair, so he sold it for a small sum and faded away from the music world. Without a bass, a vehicle, or a telephone, he was truly lost. He survived by doing manual labor and redirecting his creative powers into writing poetry. He was discovered there by a Georgia fan in 2002 and was given a bass by William Parker, and after only a few weeks of ferocious woodshedding, Henry emerged from his little room to begin playing concerts around Los Angeles, and made a triumphant return to New York City in 2003 to play in the Vision Festival. 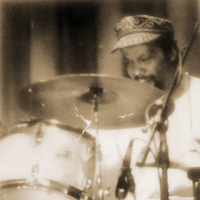 Since then, Henry has played nearly 600 concerts (including many festivals), touring in 30 countries throughout the U.S., Canada, Europe, the Middle East, and Asia, playing and recording with many of this era's music heroes, such as Rashied Ali, Marshall Allen, Fred Anderson, Marilyn Crispell, Andrew Cyrille, Bill Dixon, Edward "Kidd" Jordan, Roscoe Mitchell, David Murray, William Parker, Marc Ribot, Wadada Leo Smith, and again, Cecil Taylor. Henry made his professional debut on a second instrument (the violin) at Lincoln Center alongside Cecil Taylor at the age of 70, has seen the publication of the first volume of his poetry, "Signs Along the Road," and creates illustrations to accompany his new recordings and publications. He has received many honors in recent years, including four Meet the Composer grants. He has also held a number of recent residencies and offered workshops and master classes on major campuses. He can be heard on 90 recordings, including a dozen recent ones, on various labels, with more in the works. 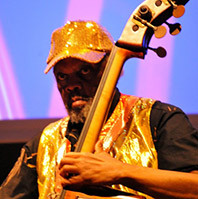 Henry Grimes has been a permanent resident of New York City since 2003.